Fortuner’s frame is strengthened by the recent technological advancements on the new models. High-tensile-strength steel sheets and supplementary materials have been incorporated throughout to improve safety by assisting to reduce driver and passenger injuries. 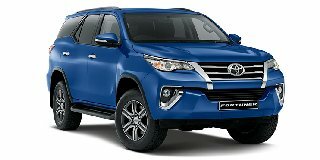 The Fortuner is installed with ISOFIX seat belts to ensure that the point of tension is relative to the impact, while the Anti-lock Braking system (ABS) and Electronic Brake-force Distribution (EBD) act together to stabilise the vehicle. In case of emergencies, the Fortuner comes with 7 airbags, driver, front passenger, curtain shield, driver-knee or side airbags are instantly activated, depending on the situation. The Vehicle-Stability Control is there to minimise unwanted situations to happen.